The Corps of RAEME at any one time has a number of soldiers who are serving on operations and other areas on overseas deployment. The RAEME Associations, with your assistance, sends Spanner Packs (not tools) to our CORPS. These packs contain items not supplied by Defence or locally available, which will assist our soldiers to live more comfortably and enjoy some of those favourite things they miss from home. We have surveyed many of our recent returned soldiers and many of those about to leave for overseas and we are in the process of putting together lists of favourite items most preferred by the soldiers. Some of these favourite items are food (Vegemite, biscuits and lollies), magazines, packs of cards, hygiene items, games etc. This project is not state, trade or Unit specific and it is hoped that every soldier will receive at least one pack on each rotation deployment/posting overseas. 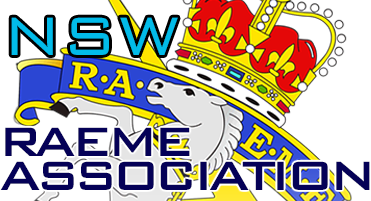 More information can be obtained from the President RNA via www.raeme.org.au contact us page. The more we receive the more our soldiers will benefit. We have no end date for this project. However, when that day comes, any fund not expended will be held by the RAEME National Association (RNA) and used for the benefit of all members of the RNA, past and present. Add your surname and initials to the reference box. If you use the direct deposit method please email the RNA Treasurer and advise the donation has been deposited.